Elgin O’Hare expansion – Will it affect your business? Users of O’Hare, get ready, because for the next 10-15 years there is going to be significant alterations and additions to the roadways around the Western portions of O’Hare. 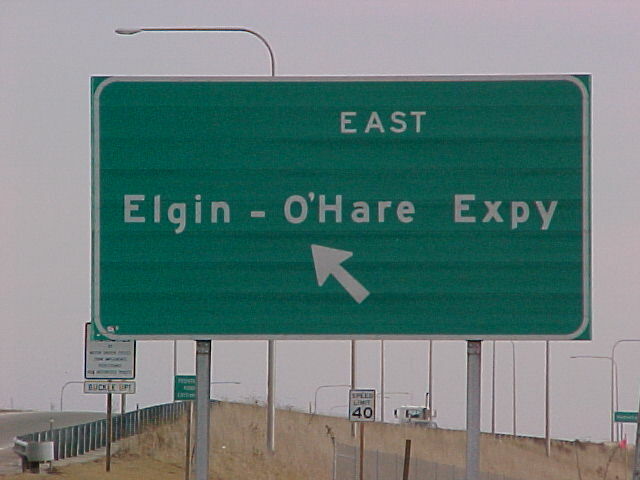 During phase one, which goes until 2018, the Illinois Tollway will add two lanes to the existing Elgin O’Hare Expressway between Illinois Route 19 and Meacham/Medina Road; this express will become a toll road. Additionally, there will be significant interchange improvements from Meachem to Busse Road: Route 53, I-290, Park Blvd/Arlington Heights Road/Prospect Ave, Wood Dale Road and Illinois Route 83 will see these improvements. Phase two is projected to begin in 2018. Phase two will consist of constructing a new toll road connecting I-90 and I-294 west of O’Hare. There will be several interchanges along this new toll road: County Line Road/Franklin Ave, Illinois Route 19, The Elgin O’Hare extension Illinois Route 72 and I-90. There will also be a new four-way interchange at Elmhurst Rd and I-90. Phase two will provide a western access point to O’Hare from York Road. Users that access the south cargo need to be aware that starting this year, the Canadian Pacific rail lines will be relocated. The timetable is uncertain, but set forth by IDOT. Irving Park Road will be closed to trucks going west toward York (from air cargo) and east bound toward air cargo (from York) during the construction. The Illinois Tollway’s office is currently in talks with all municipalities affected and anything past 2013 is currently, only in design phase. That being said, the budget is there and the project is projected to be complete between 2025-2028. What does this mean for you? Companies that are located on the Western side of O’Hare need to be aware that delays will occur. There are many uncertainties, so it will be hard to accurately project the timing of these delays. If your company has a lease coming up in the next few years, take a hard look at the Northern, Eastern, and Southeastern areas around O’Hare.